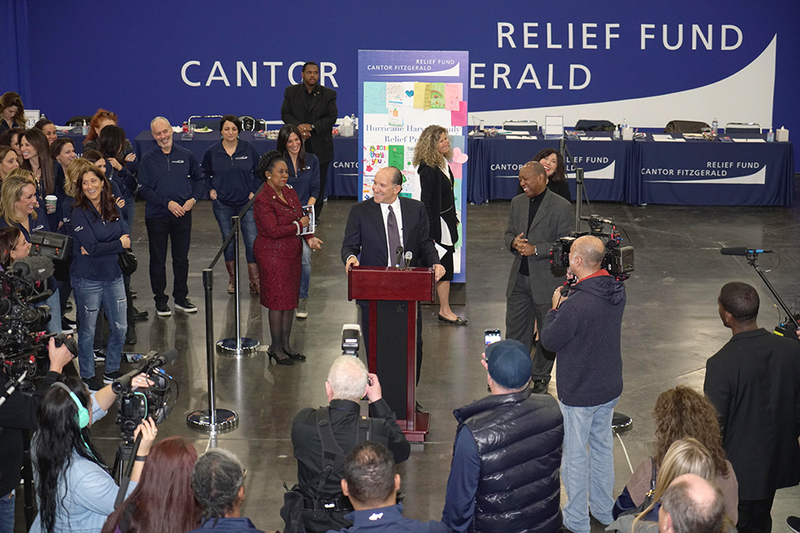 Houston, TX — February 17, 2018 — The Cantor Fitzgerald Relief Fund (“Relief Fund”) today announced that it worked with Houston-area school officials to donate prepaid $1,000 American Express® cash cards to the 5,000 families most severely affected by Hurricane Harvey, distributing total of approximately $5 million. 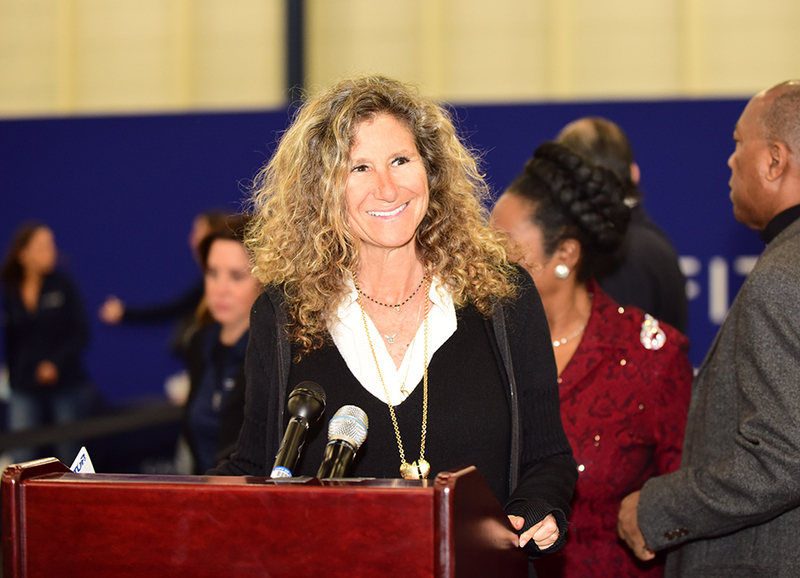 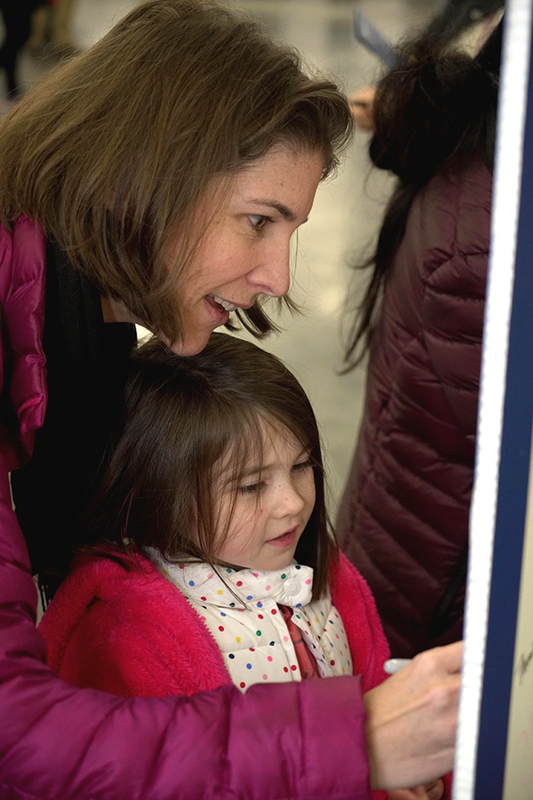 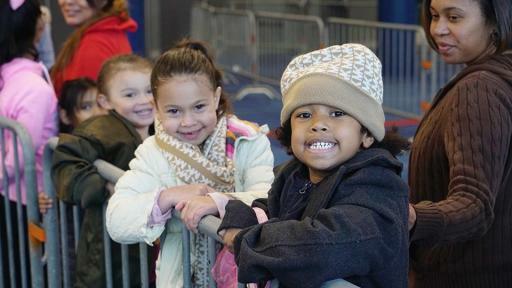 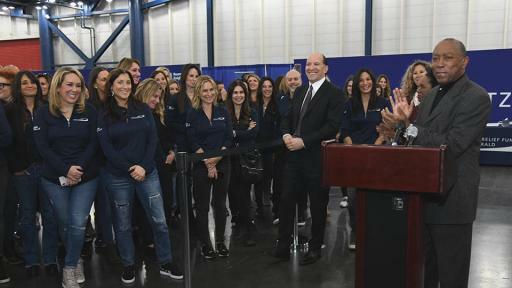 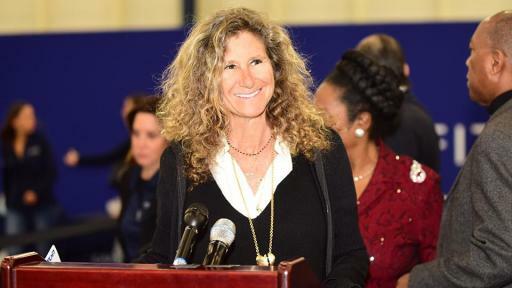 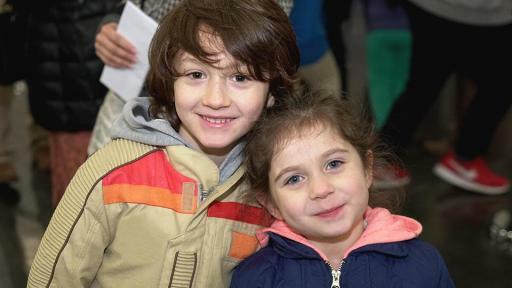 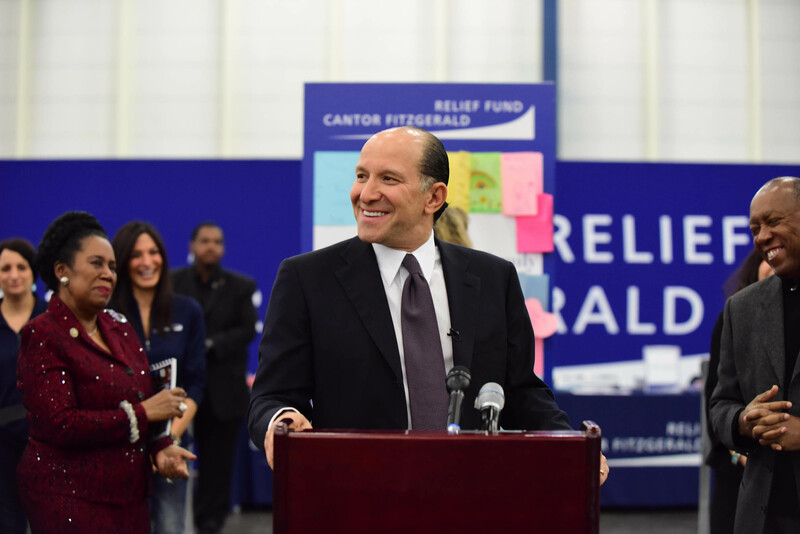 The donation is made possible by the Cantor Fitzgerald Relief Fund as well as by a grant from the firms and partners of Cantor Fitzgerald, Newmark Knight Frank and BGC Partners. 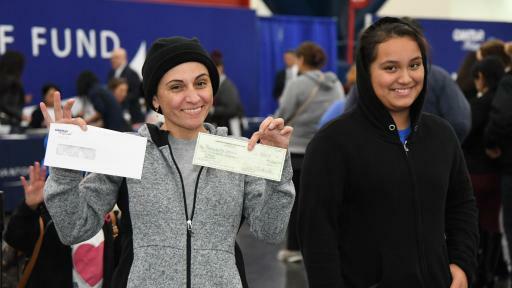 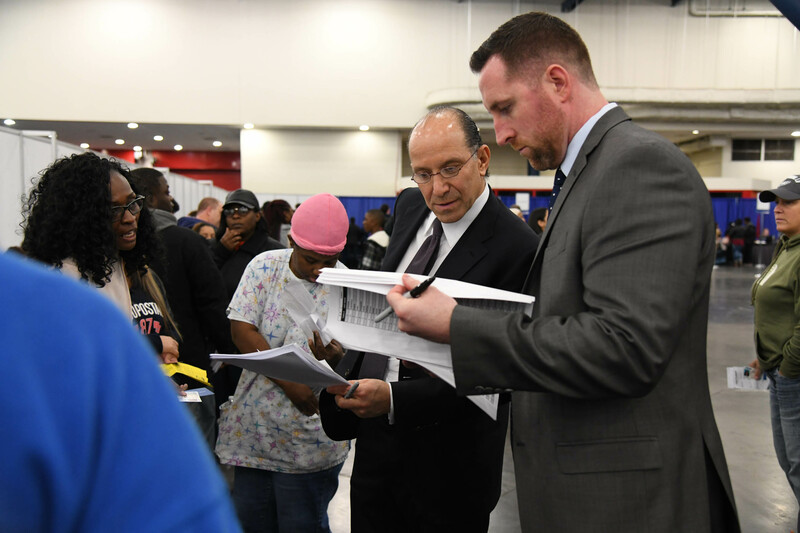 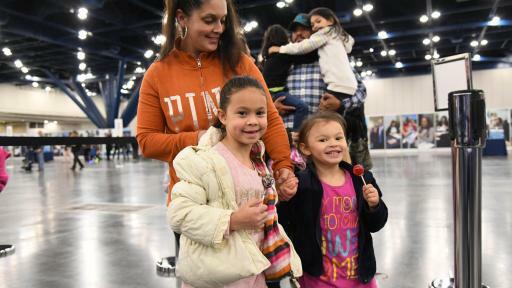 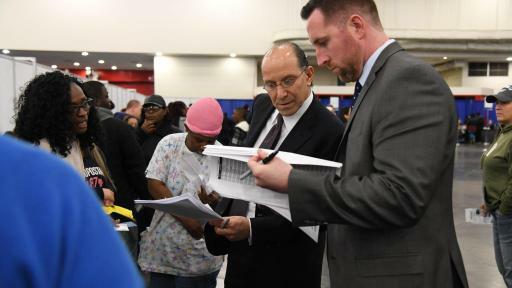 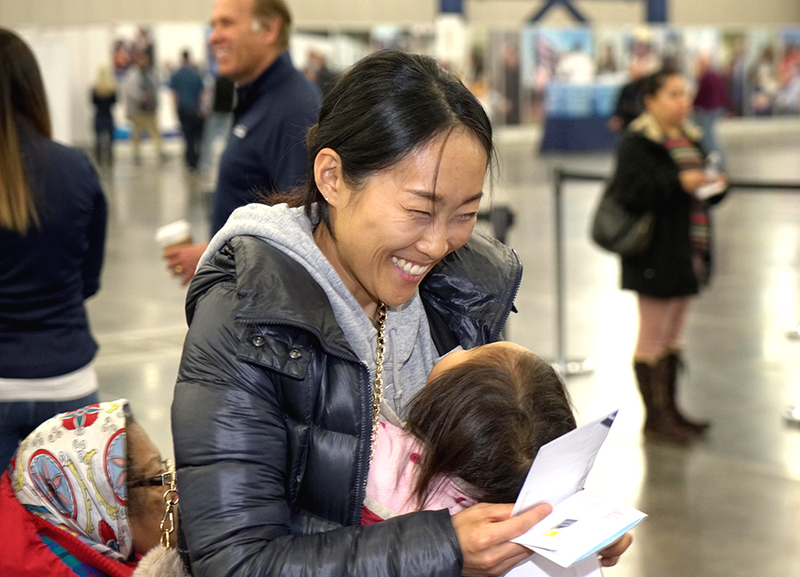 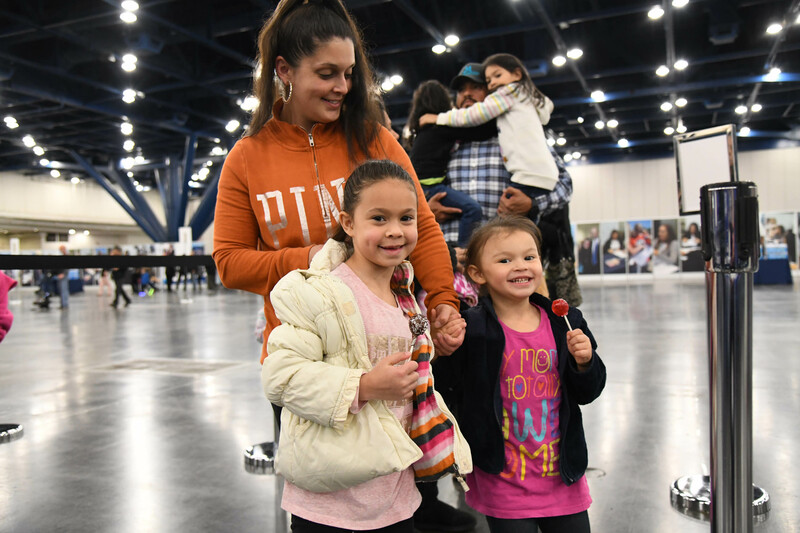 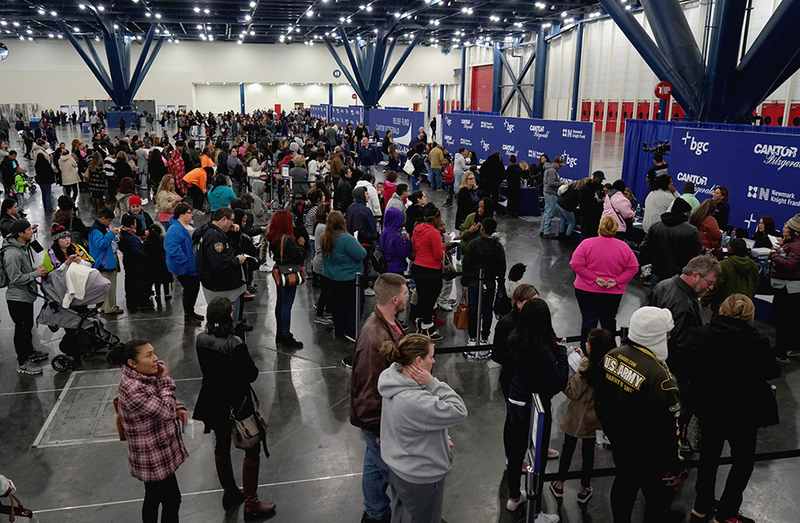 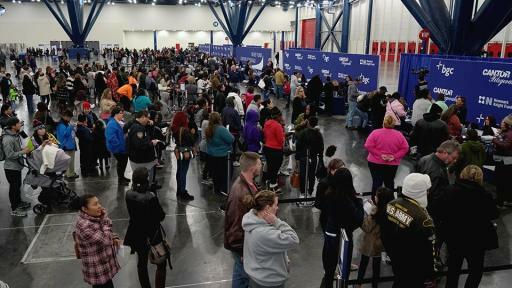 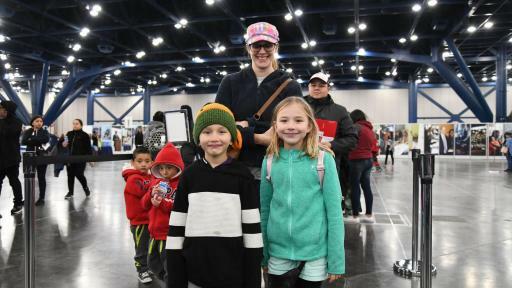 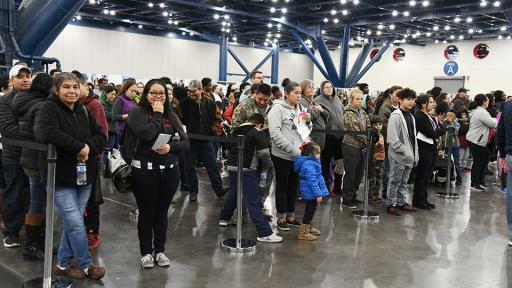 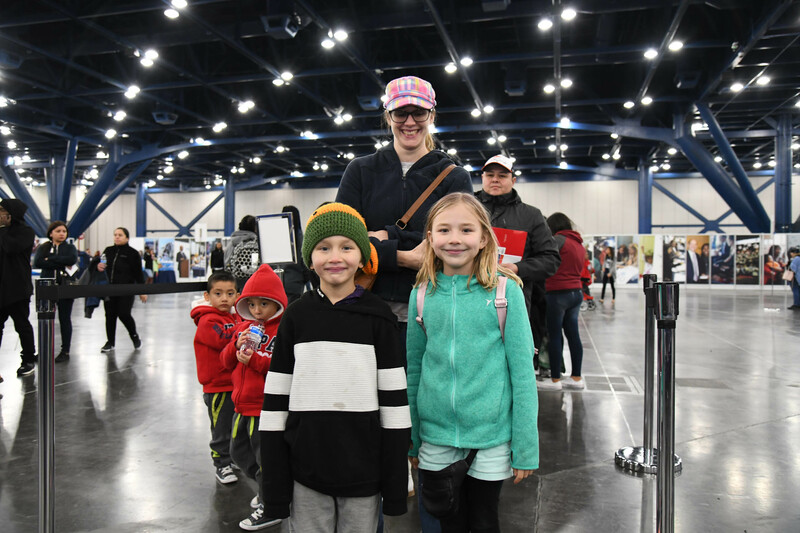 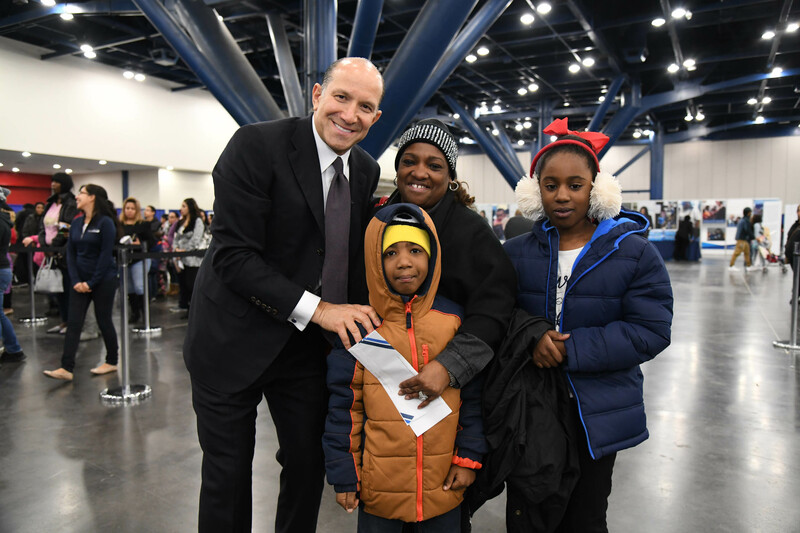 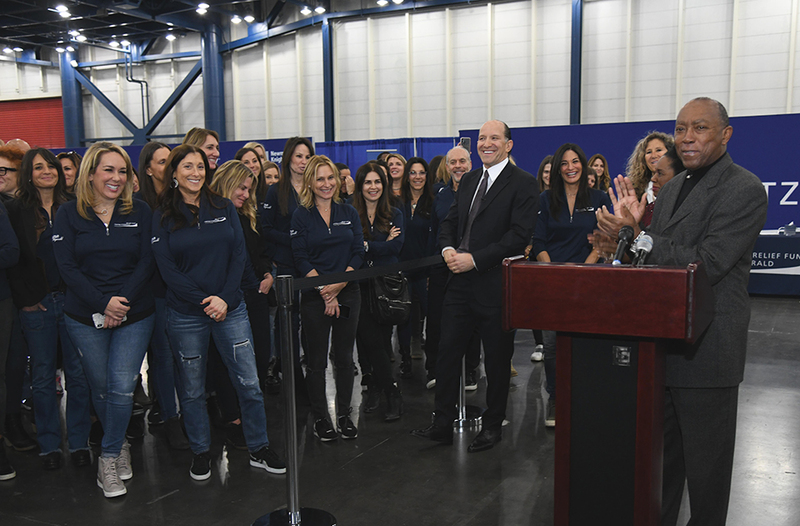 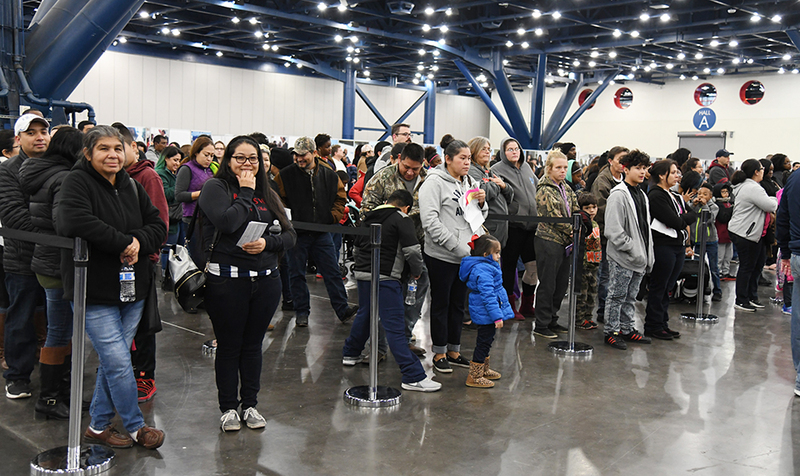 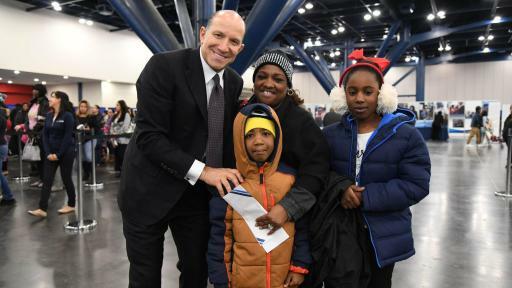 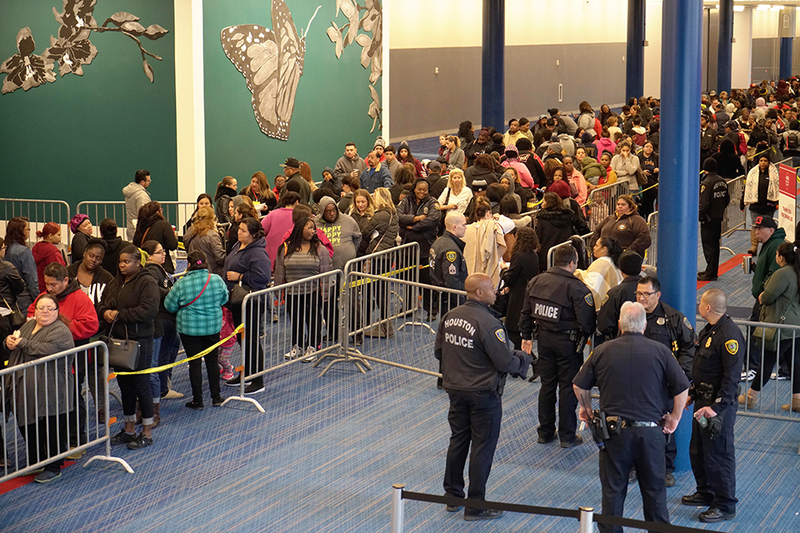 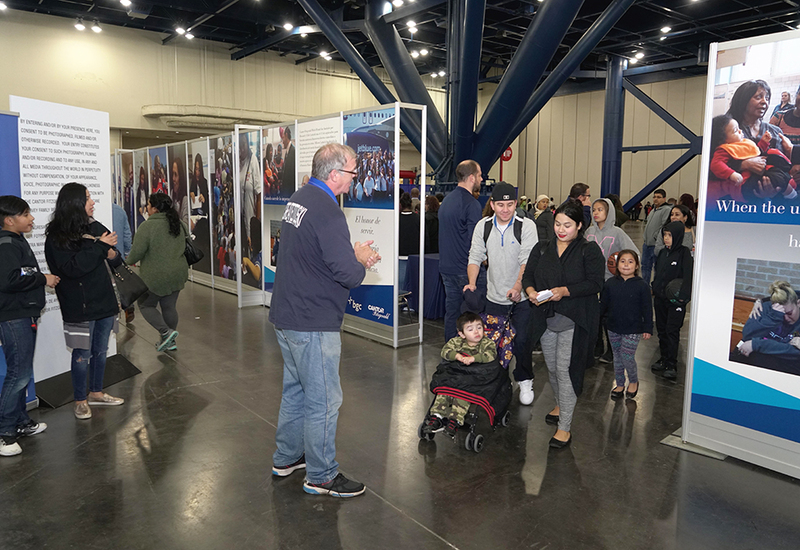 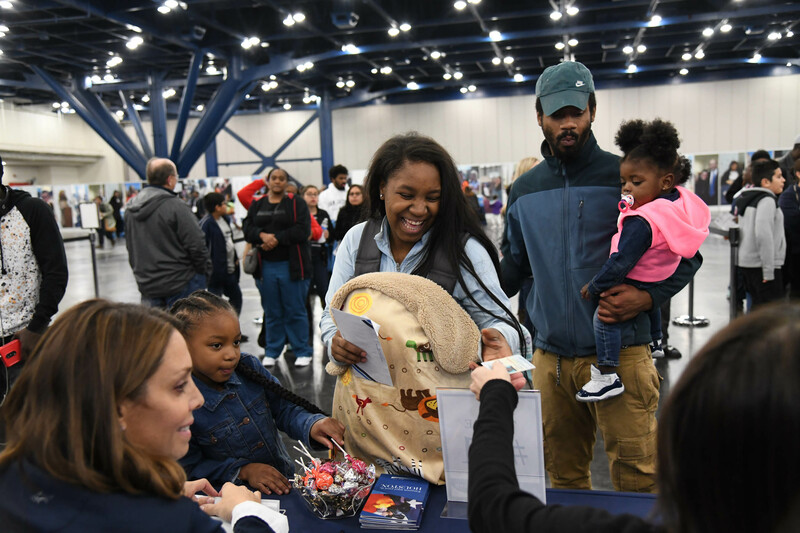 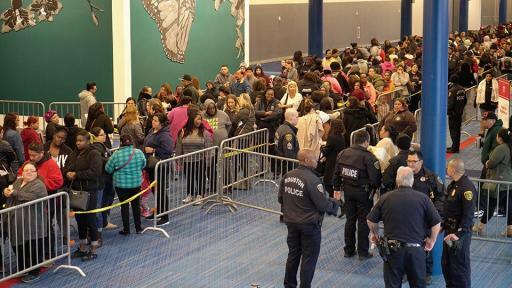 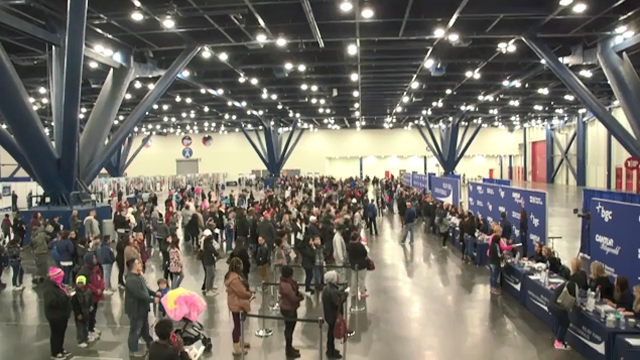 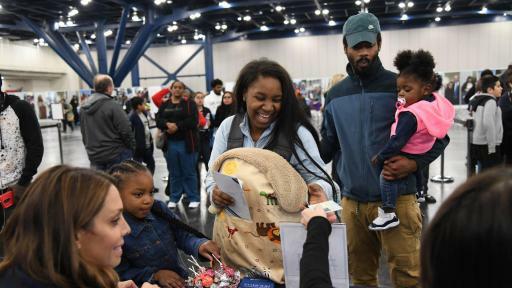 With a combined presence of more than 500 employees throughout Texas, the combined companies have 180 employees who volunteered to effectively distribute direct financial aid to deserving families at Houston’s George R. Brown Convention Center on Sunday, February 11 and Monday, February 12. 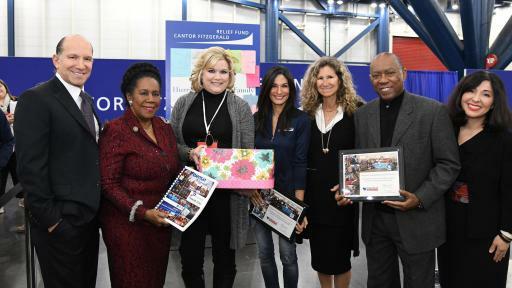 To make this event a reality, the Relief Fund worked with the office of Houston Mayor Sylvester Turner, along with officials and administrators from 15 Houston-area school districts, covering 200 schools, whose efforts were critical to identifying the 5,000 of the most affected families. 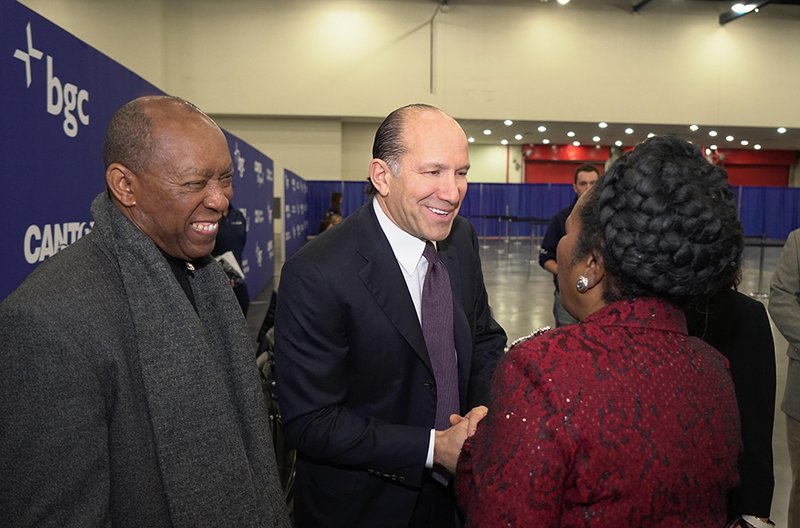 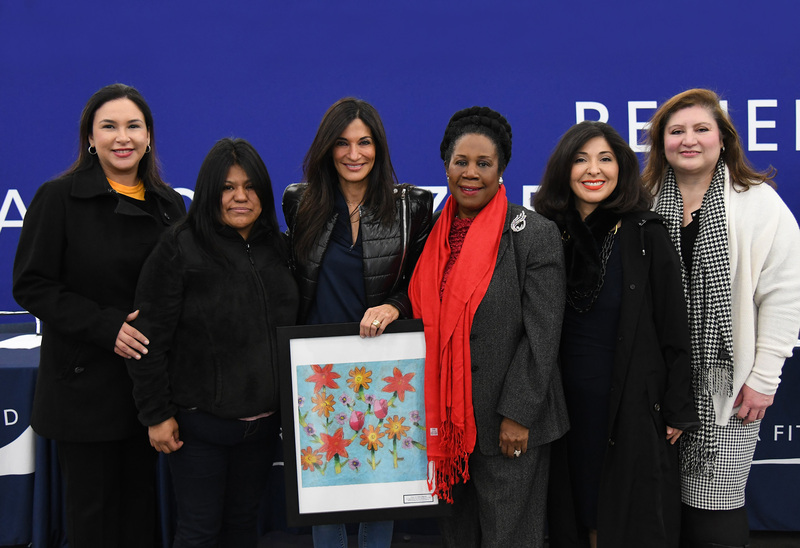 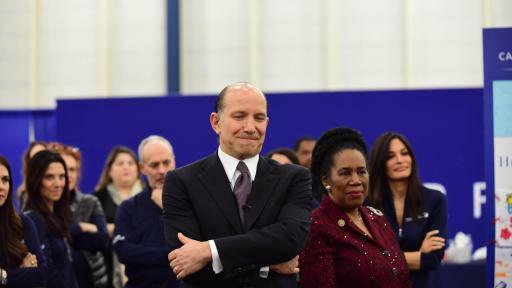 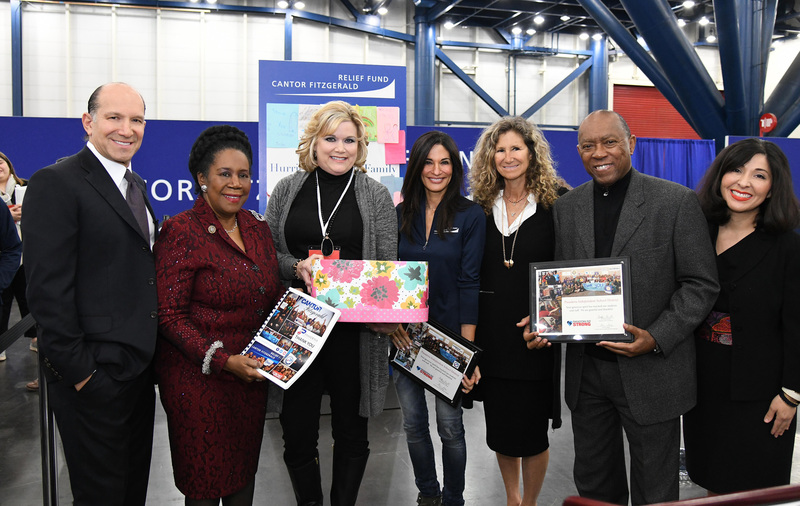 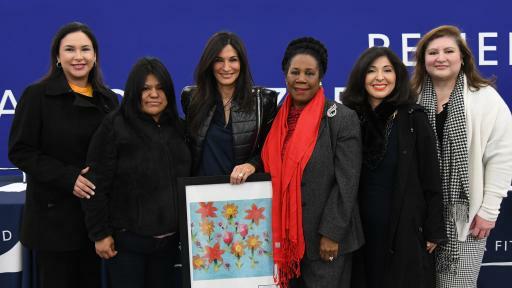 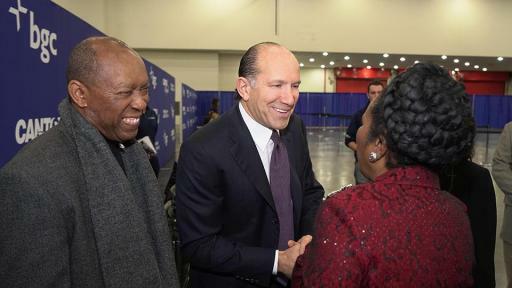 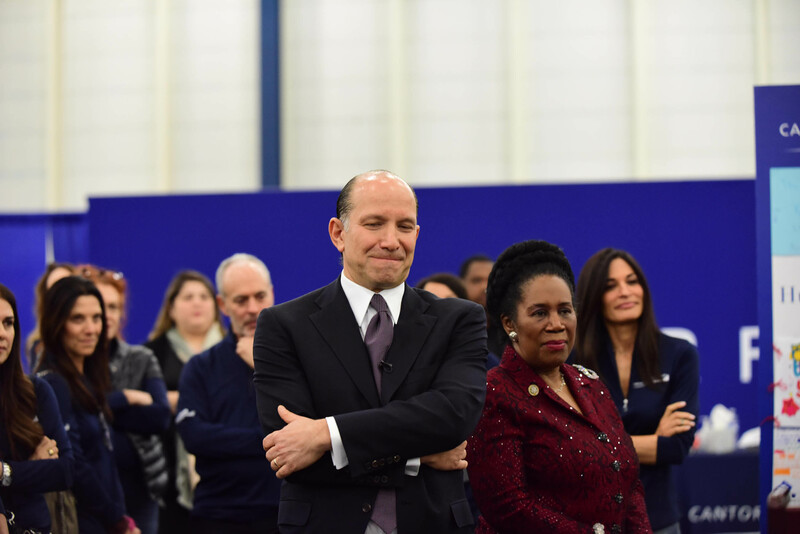 In addition to Mayor Turner, Sheila Jackson Lee, U.S. Representative for Texas's 18th congressional district, participated in the event, along with many other local officials and notables. 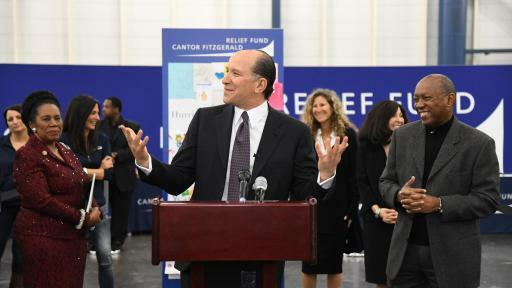 On September 11, 2001, 658 Cantor Fitzgerald friends and colleagues and 61 Eurobrokers employees were lost in the World Trade Center terrorist attack. 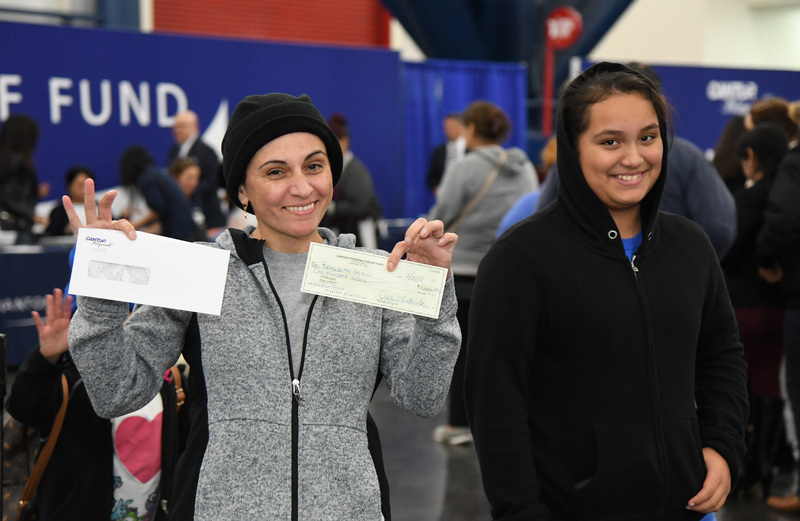 The families left behind struggled not only with the death of their loved ones but with insurance legalities that prevented them from receiving the financial support they desperately needed. 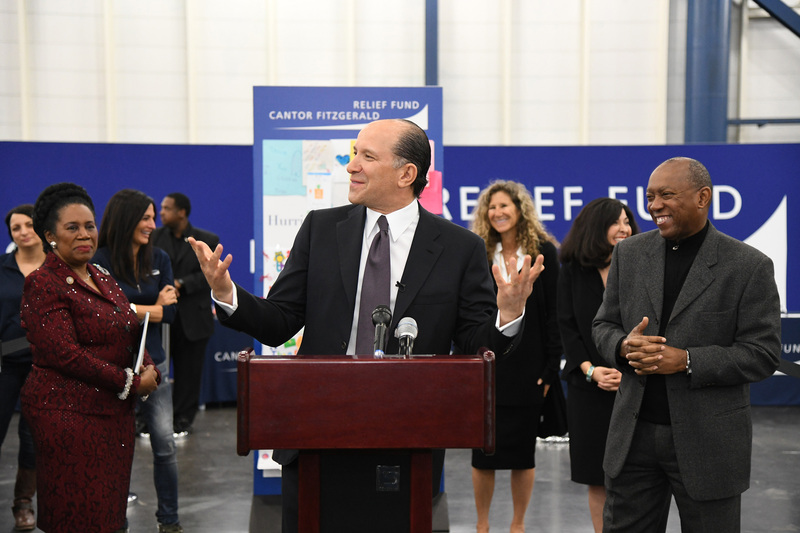 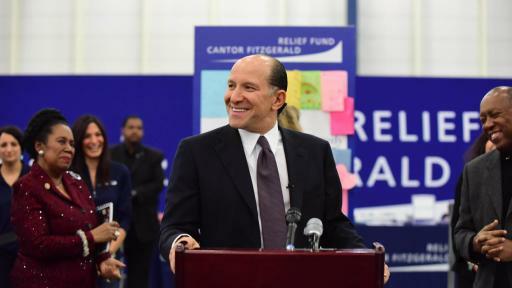 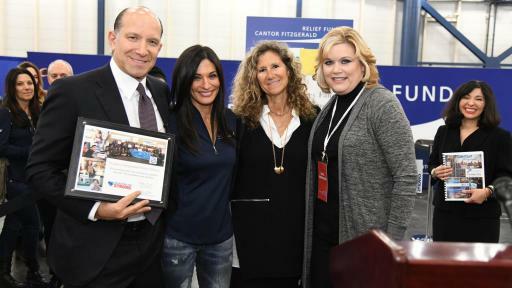 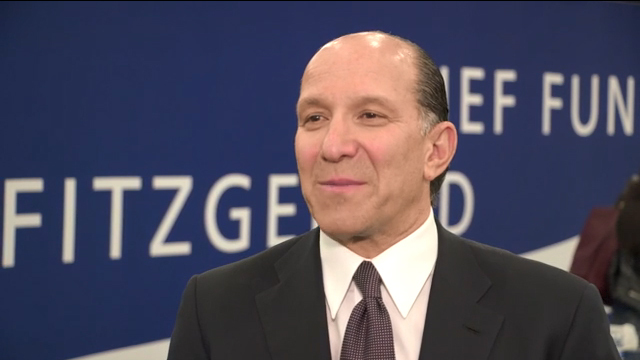 On September 14, 2001, the Cantor Fitzgerald Relief Fund (“Relief Fund”), was formed with an initial donation of $1 million from Cantor Fitzgerald and BGC Partners Chairman and CEO, Howard Lutnick. 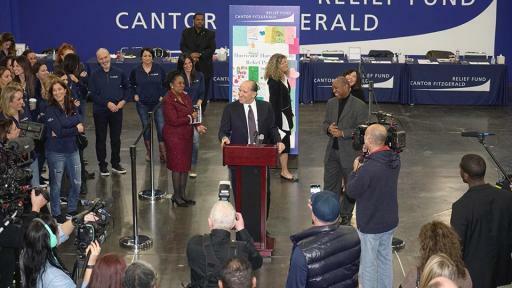 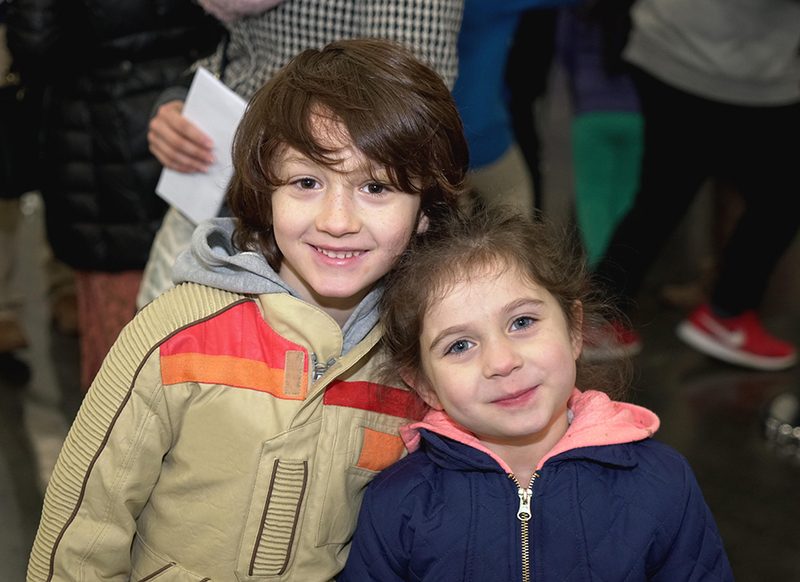 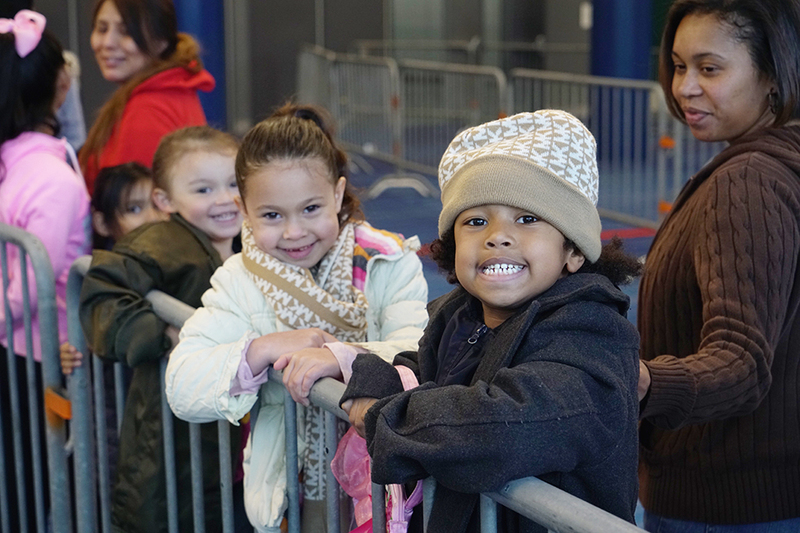 Mr. Lutnick and the Firm’s partners underwrote 100 percent of the expenses of the Relief Fund so that every penny of its income was paid out to those in need. 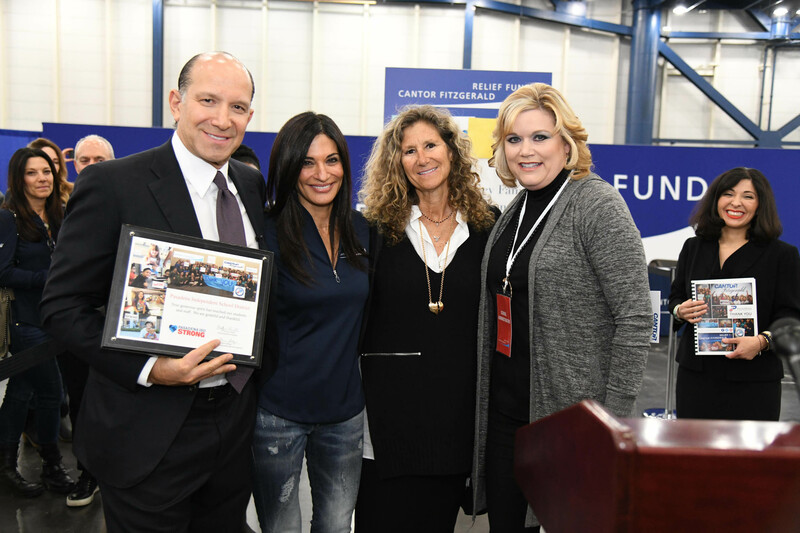 In addition to the families of Cantor Fitzgerald’s employees who were lost on 9/11, the Relief Fund also assisted family members of World Trade Center victims from 14 other companies. 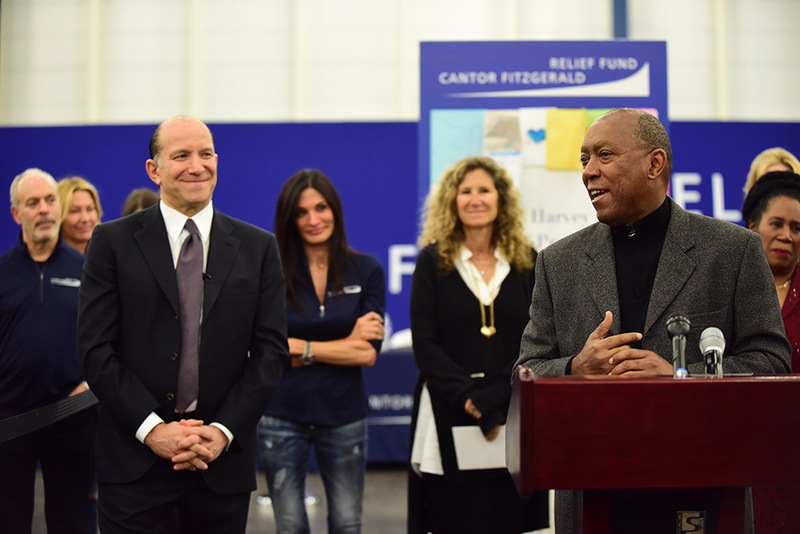 The Relief Fund raised and distributed over $180 million to over 800 families and 932 children of the victims of this tragedy. 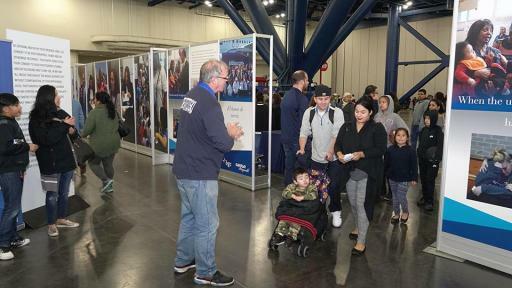 Since 9/11, the Relief Fund expanded its scope to not only include victims of terrorism, but to also assist victims of natural disasters and emergencies, including victims of Superstorm Sandy, the tornado in Moore, Oklahoma, Hurricane Katrina in the Gulf Coast, the tsunami of 2004 and the Haiti earthquake. 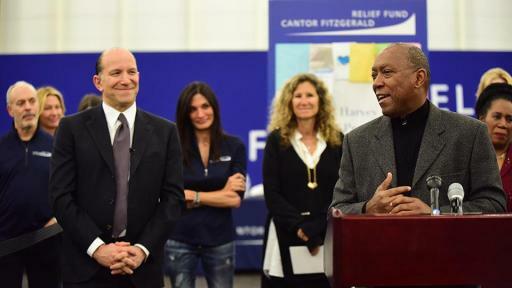 The Relief Fund also works to assist wounded members of the U.S. military. 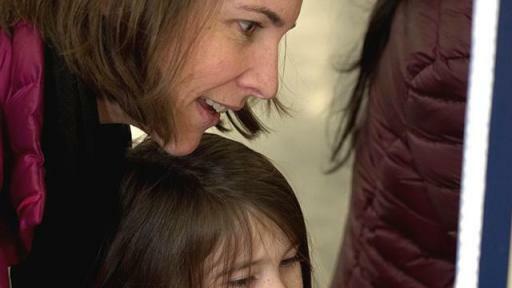 Since its inception, it has distributed over $304 million.